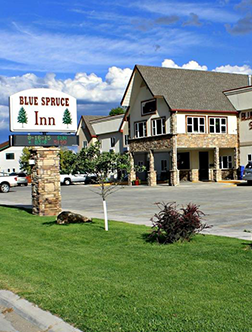 The Blue Spruce Inn located in Meeker, Colorado a western community nestled in the White River Valley. Meeker is filled with a blend of unique shopping establishments as well as an array of delicious small- town eateries all within walking distance of the Blue Spruce Inn. 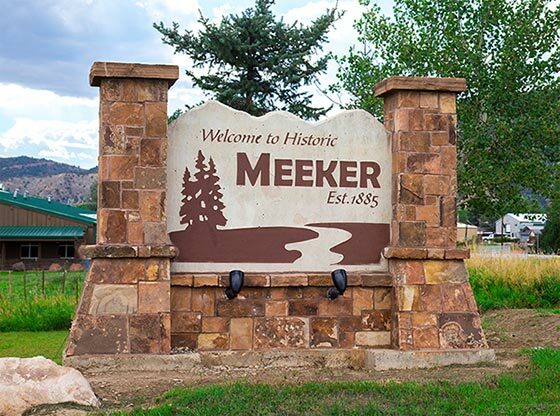 While in Meeker, do not forget to visit the community’s newly remodeled city park, the White River Museum or checkout the area’s groomed hiking and mountain biking trail system, all only a short distance from the Blue Spruce Inn. 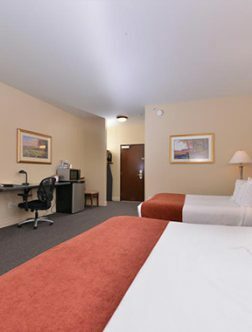 WE WELCOME YOU AS OUR GUEST. Ideal for board meetings, interviews, presentations or small social functions. Accommodates up to 20 pp. 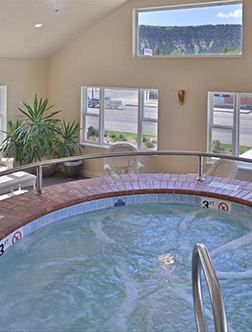 Please call the Blue Spruce Inn (970) 878-0777 for rates and services. We stayed here over 4th of July. 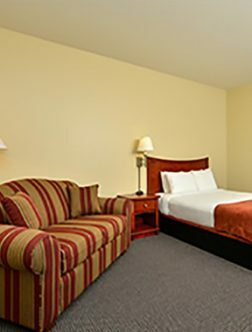 The rooms were clean, the people were friendly and helpful with suggestions of where to go, and the whole building was very updated and modern. 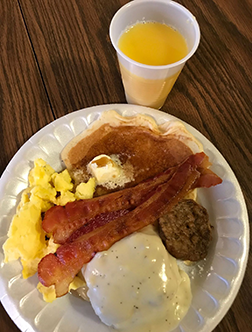 Their breakfast was hot and different from others, in that they had hot cakes that you make for yourself in stead of waffles! 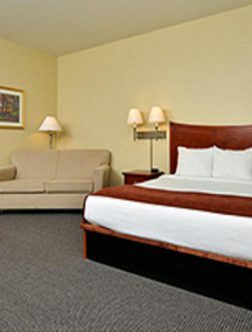 We enjoyed our stay at this clean, quiet, hotel. 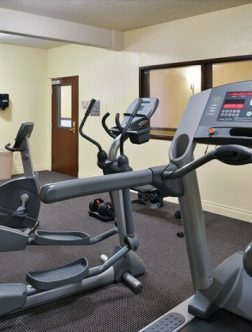 It had plenty of amenities, hot tub, fitness room and a free hot breakfast. There was a nice restaurant next door with good food and friendly wait staff. Blue Spruce Inn 2019. All Right Reserved.